You can always count on Pflugerville Locksmith Pros with all of your lock services. Our team of professionals is standing by to make sure that you have modern and high-security locks that will offer the ultimate protection for your property. You never want to have to worry about your building’s locks. Instead, you should have peace of mind knowing that your home or business is protected in the best way possible. Basically, we are your top choice for lock services in Pflugerville! Our expert team of mobile locksmiths is available round-the-clock and each technician has years of experience in the field. Our lock services include lock changes and rekeys and our installation and repair services apply to just about any type of lock that you can imagine. Deadbolts are a great choice for homes or businesses. They have a solid bar that goes into a recessed hole in the door frame. It is a more secure lock than regular types, and you can feel confident that your door will be harder to pick or pry open if you choose this type of lock. Deadbolts also allow for quick exists in cases of a fire emergency. It is important to have high-security locks that you can trust for your home and Grade 1 locks are the strongest and most reliable on the market. Many different lock styles are available in grade 1 including, deadbolts and mortise locks. This allows you to customize your preferred style while still maintaining the highest level of security. The days of keeping track of keys are over. With Keyless entry locks you have the ability to take control over who has access to your home or place of business. These high-tech locks also come in a variety of options including biometric locks, pin code entry systems and smart locks that can be opened remotely with your smartphone. We can take care of installing and repairing mortise locks for you as well. Mortise locks are installed inside of your door, and they make good choice for high-traffic areas. And since they area available in a wide array of designs and materials, they are the perfect option. When installed properly, cylinder locks add an extra layer of security to you can sleep easier. Although not as strong as some other lock types, they are the perfect lock choice to install on doors inside your home or business. For example, if you want to add a lock on one of your bathroom doors in your home, or add a lock to your basement door, profile cylinders are a great option. We recommend homeowners and property managers to rekey their locks if they are just moving in to make sure that no one else has a key to their property. We can rekey any type of lock, and we also offer premium repair services to meet your needs. If your lock has sustained damages due to bad weather or a break-in, we suggest a complete lock change, to ensure optimal security. We offer a variety of emergency locksmith services in Pflugerville Texas. 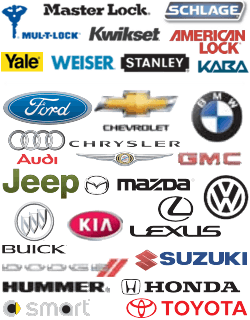 We are happy to be a reputable 24-hour company that you can trust with minor or major lock issues. When you need a mobile locksmith, give us a call for fast and dependable services. If you have a window close to your door, consider using a double cylinder deadbolt for added security. Rekey your locks for peace of mind. Only hire honest and reputable locksmiths like us. Regularly inspect your locks and keys to look for any signs of damage that can happen over time. Lock Services https://pflugerville-locksmith.co/lock-services/ 3.4/5 based upon 20 reviews.